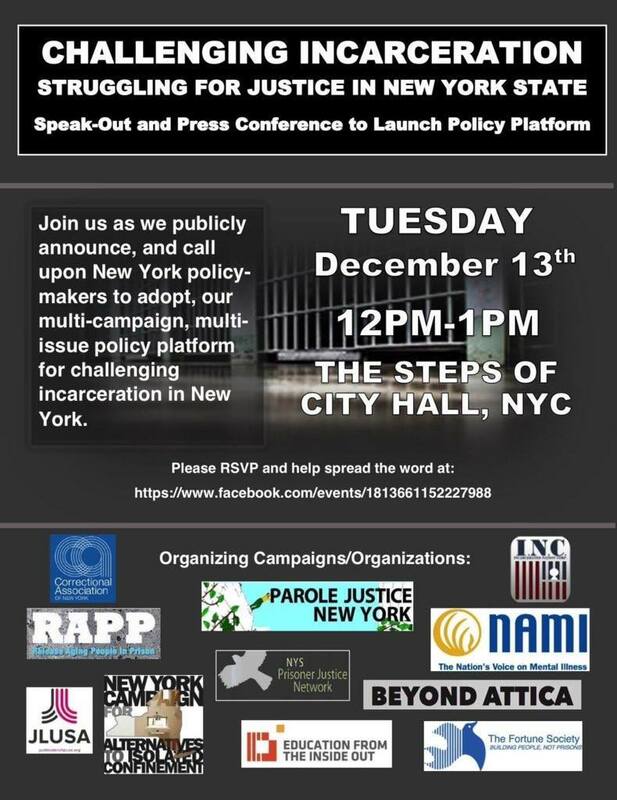 TUESDAY, April 30, 2019, Albany, all day • RAPP will join HALT Solitary to push the NYS legislature to pass the HALT Solitary bill (A.2500/S.1623) • RSVP for free transportation and more information See this link for other actions to support the passage of this important bill (including NYC actions on April 23 and trainings on 4/19 and 4/22). WEDNESDAY, May 1, 2019, 6:00-8:15 pm • NY RAPP Coalition meeting • 168 Canal St., 6th Fl, NY NY 10013 • pizza & discussion • all welcome! 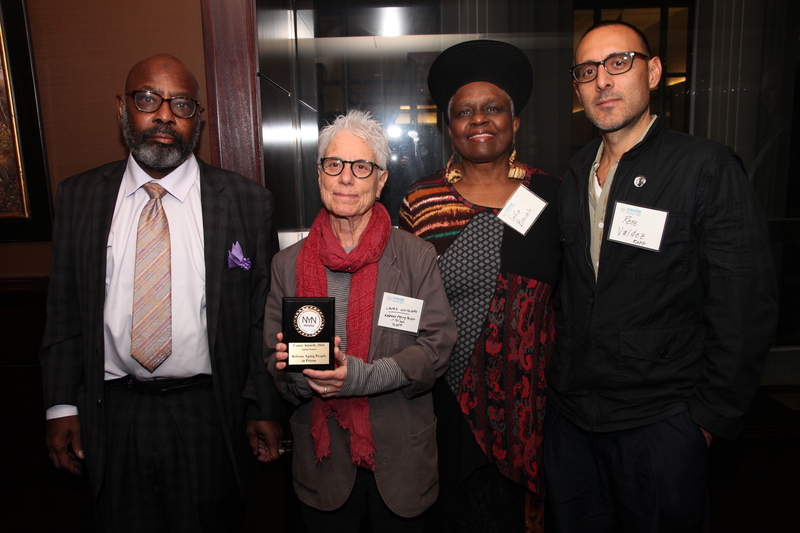 TUESDAY, January 29, 2019 • Albany, NY Parole Justice Advocacy Day • Join us! Meet with NYS elected officials, march and rally to demand: 1. A fully staffed Parole Board (19 Commissioners with professional backgrounds in rehabilitation); 2. Elder parole: all incarcerated older people, aged 55 plus, get an opportunity for parole release after serving 15 consecutive years in prison; 3. A parole process that centers change and transformation instead of punishment and re-sentencing. SUNDAY, October 28, 2018, 5 pm-8 pm • Preparing for Parole: A Training for Family Members, with the Parole Preparation Project, Rockland Prison Justice Project, Rockland Coalition to End the New Jim Crow and RAPP • Martin Luther King Center, 110 Bethune Blvd, Spring Valley, NY 10977. SATURDAY, October 20, 2018, 1:00-4:00 pm • Dismantling Injustice (Series) • Gavin Brown’s Enterprise (Gallery), 439 West 127th Street, NY NY 10027 • Legislative Workshop, Public workshop with RAPP, CAIC, and JLUSA • Organizers will give an overview of the legislative process in New York, outline their specific bills and stages in the legislative process, and discuss how participants can get involved in producing concrete policy changes that will help radically transform New York’s prison system. MONDAY, October 1, 2018, 11:00 am, Albany • Press conference in response to Republican Senators’ “hearing” on parole and voting for parolees (WATCH here) • LCA Press Room 130, Legislative Office Building, 198 State St, Albany, NY 12210 Albany • Free transportation from NYC. If you would like to attend, RSVP here and spread the word using this Facebook event page. PLEASE WEAR WHITE in Albany! SUNDAY, September 16 2018, 1:00-6:00 pm • Harlem • 46th Annual African-American Day Parade • Free Political Prisoners • Join RAPP in the Northeast Political Prisoner Coalition contingent • gather at the eastern end of 111th Street between Adam Clayton Powell, Jr. and Frederick Douglass Blvds. 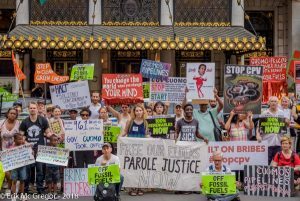 SATURDAY, August 16, 2018, 4:00-8:00 pm • RAPP & CAIC (Campaign for Alternatives to Isolated Confinement) Potluck Gathering, Castle Gardens, 625 West 140th Street (between Broadway & Riverside Drive), Manhattan, 11th Floor • you are invited to bring a dish to share. 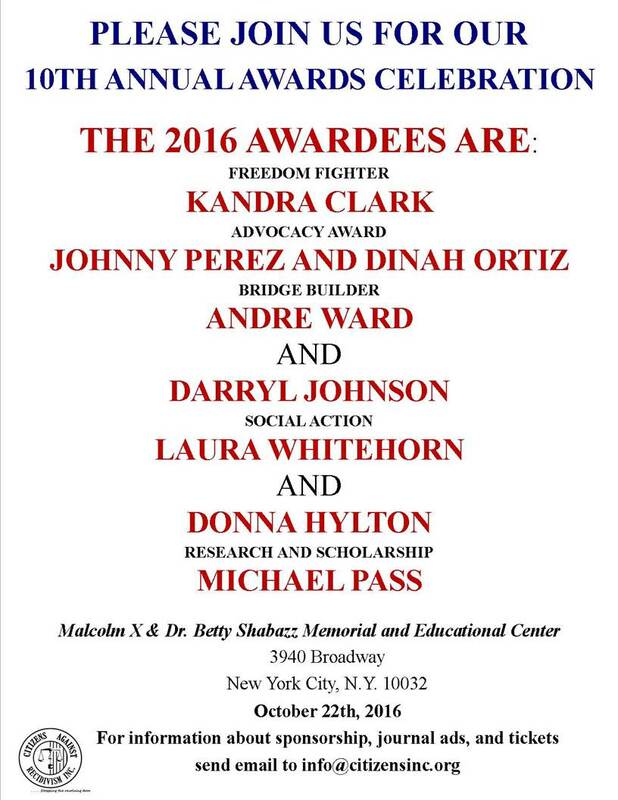 WEDNESDAY, May 30, all day, Albany, NY • Toward Freedom: Dismantling Injustice in New York State • (RSVP) • Join RAPP, JustLeadershipUSA, the Campaign for Alternatives to Isolated Confinement (CAIC), and others to demand real pre-trial justice (bail, discovery, and speedy trial), an end to long-term solitary confinement, and the release of older and aging people in prison. WEDNESDAY, November 29, 7:00 pm (doors open at 7:00; program begins promptly at 7:30) • The Criminalization of Home: Organizing to Protect Communities from NYC to Palestine • Speakers from Addameer, Adalah-NYC, Black Youth Project 100, and RAPP • Verso Books, 20 Jay Street, Suite 1010, Brooklyn, NY 11201 • This event honors the International Day of Solidarity with the Palestinian People. SUNDAY, September 17, 1:00 pm• Harlem’s 48th Annual African American Day Parade, Freedom Fighters Contingent • Assemble at 112th St. & Adam Clayton Powell, Jr., Blvd; march to 136th St.
SATURDAY, June 12 • 3:00 pm • Baltimore, MD • Re-Intergration Workshops: Aging Women in/out of Prison (By invitation only) These workshops will assist in reconnecting the aging woman in/out of prison to self, family, and community. 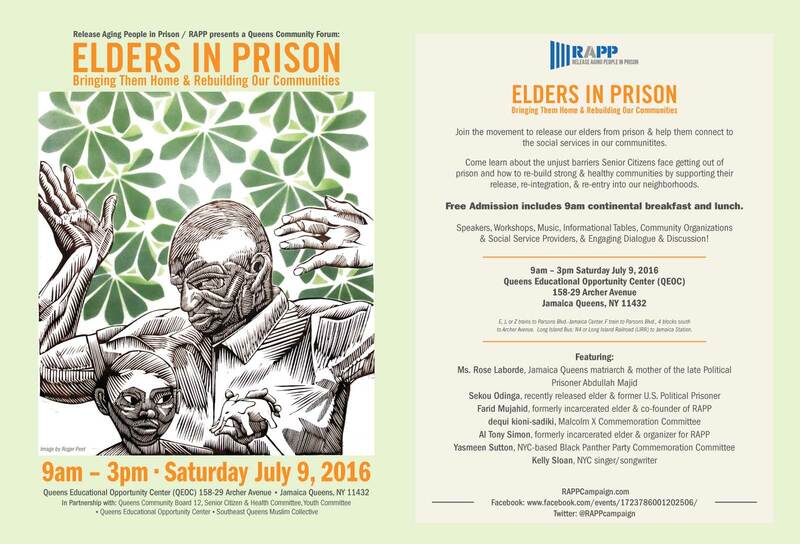 Any aging woman in/out of prison interested in attending can email mdrappcampaign@gmail.com. Workshops are held every 2nd Saturday of the month at Coppin State University/Criminal Justice Department, 2500 W. North Avenue, 5th Floor. SATURDAY, February 20 • 7:00 pm • Washington, DC • Aging in Prison, Mass Incarceration, and the Legacy of COINTELPRO (FBI Counterintelligence Program) • La Casa, 3166 Mt. Pleasant NW, Washington, DC • Sponsored by DCRAPP; RAPP speakers include Tomiko Shine and Alexandra Warren of DC and MD RAPP. SATURDAY, January 30, 2016 • 8pm-11pm • DCRAPP celebrated the homecoming of returning citizen Abdus-Shahid Ali, released after serving 50 years in prison. Sadly, Bro. Ali was too ill to attend, and he passed on March 3rd. Bro. Ali’s funeral was held on Monday, March 7 at Islamic Heritage Foundation, 3765 I Street SE Washington, DC; he is buried at Al-Firdaus Memorial Gardens, Frederick, MD. All RAPP chapters mourn his loss. In his memory, we will work harder than ever to release aging people in a timely manner. WEDNESDAY, January 13, 2016 • 7:00 pm • Baltimore • Meeting of MDRAPP (Coppin State Criminal Justice Department, 2500 W. North Avenue) For details, email MDRAPPCampaign@gmail.com. MDRAPP meets every other Wednesday. Fordham University (Lincoln Center Campus) Pope Auditorium, 113 West 6oth St.
Mujahid Farid talks about RAPP and parole on Eldridge & Co.